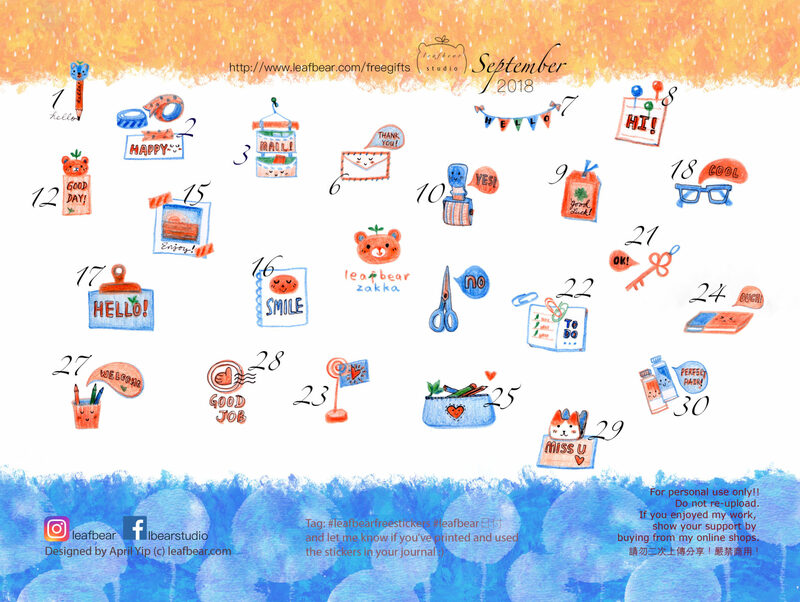 It has been a busy week and I’ve only managed to work out the September sticker date sheet for you now! Go over to the Free Gift section and read the rules before downloading. Will be available for download until August 17! If you’ve downloaded it, please leave a comment here or tag me with #leafbearfreestickers on social media! I’d love to see how you’d use it!